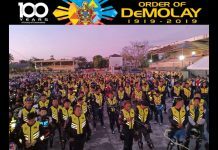 Leon Kilat Chapter, International Order of DeMOLAY who is under the sponsorship of MT. Kaladias Lodge # 91 F & AM and was Chartered June 9, 1963 by the ISC Order of DeMOLAY and now part of the National Supreme Council Order of DeMOLAY of the Republic of the Philippines. 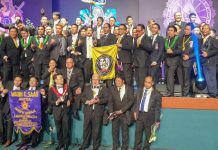 The primary movers for the the creation of the local Chapter and the International Order of the Job’s Daughter Bethel # 3 where late Leg. 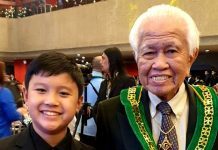 Dad Serafin L. Teves Sr., PGM, GLP and Late Dad Joseph Schion , PGM, GLP who hails from Maryland USA. 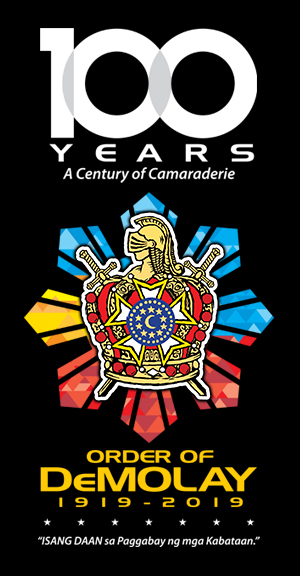 The Chapter Namesake is from the local hero by the name of Pantaleón Villegas y Soldi (July 27, 1873 – April 8, 1898) better known as León Kilat (Leon as fierce as a Lion and Kilat as fast as a Lightning in Cebuano), was a revolutionary leader in Cebu during the Philippine Revolution against Spain. 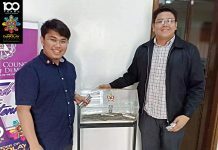 He was born in Bacong, Negros Oriental, to Don Policarpio Villegas and Doña Úrsula Soldi. His grandfather was Don Pedro Villegas, a native of Spain, and Dorotea, a daughter of a capitán of Bacong. 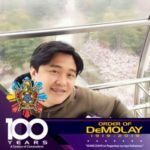 We aim to reach to as many LKC members wherever dispersed around the world to bring us closer to one another bearing same concerns and aspirations, and to our mother Leon Kilat Chapter of the International Order of DeMOLAY Philippine Jurisdiction. The brethren are now physically separated and living different lives with maybe diverse interests. Many of the brethren have traveled to places where they succeeded in their respective professions. 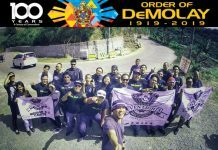 Many have become Master Masons and some had even become Masters of Lodges, even some wore the purple of the Fraternity for a time. Many are even occupying elective positions in their respective communities. Yet, wither soever dispersed, they each have a common memory – the memory of what all brothers and fellows had done who have gone this way before! “Ours is to cherish the Fraternal Tie that Binds us Together until time no more. 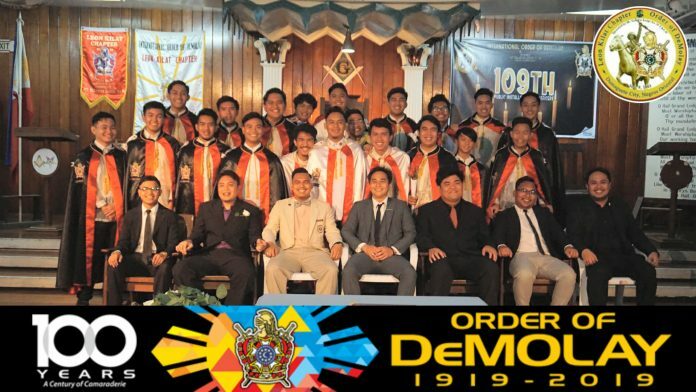 Next articleDesert Knights DeMolay Alumni Chapter No. 40, Jeddah, K.S.A.